If you are looking for a productive hobby that could turn around some extra cash then why not consider beekeeping with the use of Top Bar Hives? But it is not only for the money. There are many benefits to managing your own beehive. These include improving your health, having an organic, ready medicine on hand and pollinating every possible tree, fruit, vegetable and flowering plant in the surrounding area. You can even take your business on the road. Commercial farmers pay big bucks for their crops to be pollinated, to bee farmers. So yes, it is one hobby that can pay off, sooner, rather than later. If you are not careful, starting a beekeeping hobby can be on the pricey side. So think with a frugal mind and consider a cost-effective hive design. Conventional hives can hurt your pocket and destroy your budget, long before you get the first brood. 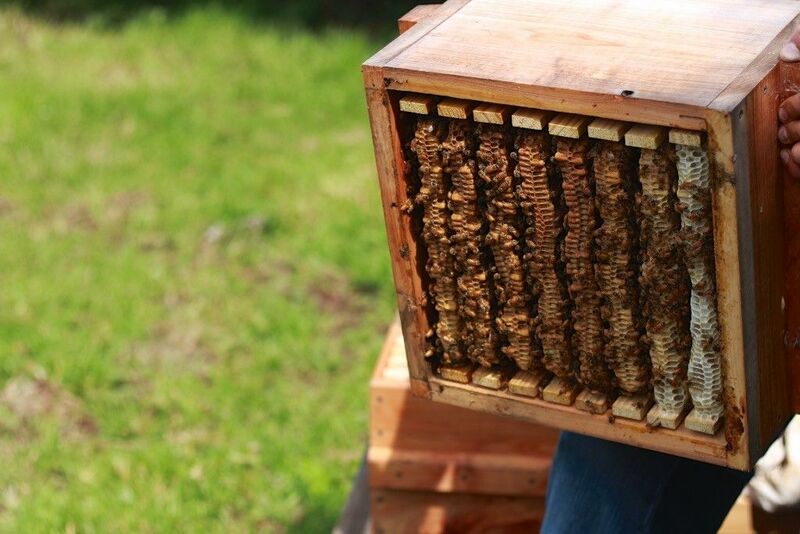 It can cost you around $200 to get going if you use the conventional hive designs. And that does not include the time it would take to build them. However, you have a simpler and more cost-effective alternative. If you start building your hive before winter, then you will be well on your way to maintaining your first beehive, by spring of the following year. With a cedar top bar hive design, you will just be required to construct a home for your bees in an uncomplicated box. It will have slats of wood going at the crown of the hive. Your bees will do the rest. The number of bees has been decreasing due to the dreaded colony collapse disorder. However, as individual gardeners, this can be rectified by keeping a small top bar hive in our garden. Then we will see increased yield for our own garden plants, fruit trees, and vegetables. Photo credit to TwoHoneys Bee Co. Whether you live in a city or urban area, you can buy top bar hive kit and quickly get started. Your beekeeping hobby does not require a huge backyard to begin. People who enjoy honey, want to live a holistic lifestyle and help by contributing to the expansion of the bee population, will enjoy this way of breeding bees. It is one of the best ways of ensuring that you get the most honey each season, regardless of other external factors. 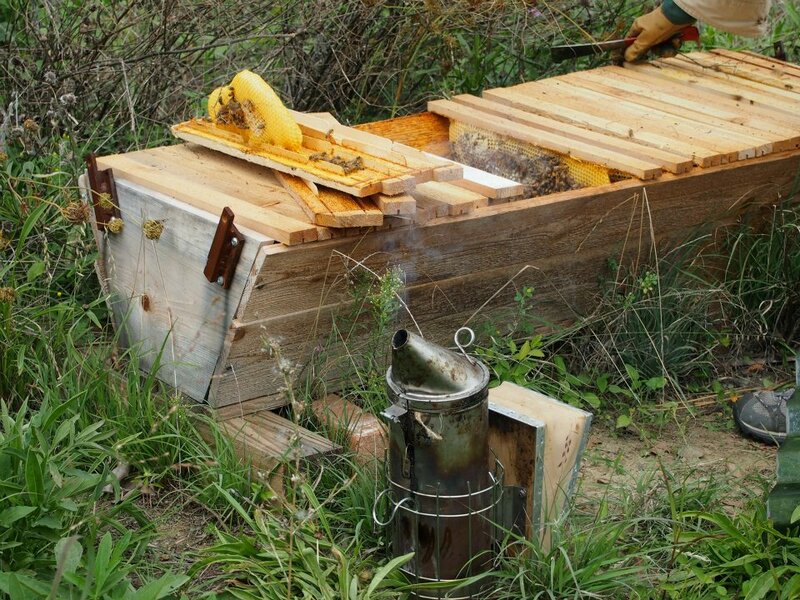 This method of beekeeping is capable of generating sufficient honey supplies. However, the weight is on maintaining and breeding healthy bees over capitalizing on higher yield honey crops. Contrary to popular thought, rearing bees do not have to be difficult. Interested persons often get overwhelmed before they even start because of the complicated designs and parts that they see in a beekeepers catalog. But all that is not integral to rearing high producing, healthy bees. If you examine the beehives across Europe and America, you will notice one thing. They are all similar. They all include some sort of rectangular wooden boxes that have detachable wooden frames. And in these, you will find wooden frames holding that act as a base for the honeybees to build their honeycombs. The beehives also have a roof and floor. That is the basic construction. Then the queen goes about her business of laying eggs. The other bees retrieve pollen and they create their food stores in order to make honey. And generally, there are shallow boxes or honey supers placed on top to collect the honey, which is an easy harvesting method. As a beekeeper, you will find that the cedar top bar hive fits this description easily. And taking out the individual top bar hive roof frames is easy enough. It allows you to see each frame, one by one and you will know the progress and status of your hive. This also requires minimal hive maintenance. You take it out, put the top bar right into its slot again. The homogeneous contour of the combs allows for easier honey removal when placed in the centrifuge. From the bees’ perspective, they might have a few complaints. But they do adjust easily. First off, bees logically construct honeycombs in profound, catenary curves. 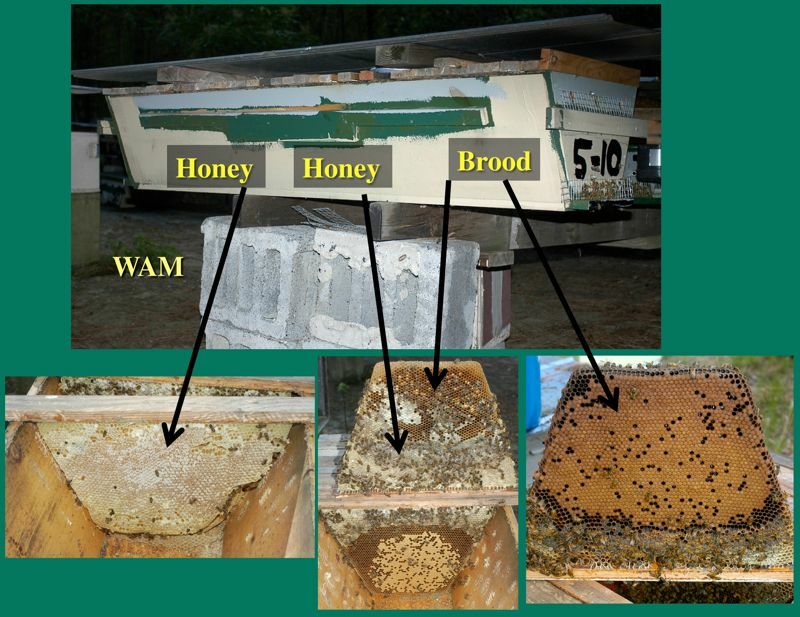 However, a top bar hive restricts that type of arrangement and they are forced to design the hive in a manner we dictate. Bees choose to regulate the dimension of cells in keeping with their needs. Check it here. When using this method handling, retrieving and calming your bees from a top bar hive is a lot simpler. You do not need a smoker, because you can use water, from a spray bottle and apple cider vinegar or essential oils to calm them down.